Hey friends, this article is exclusively on Jeans for plus size women. That doesn’t mean that it is only useful for my chubby women readers. But, it is equally important for my men readers also to know more about plus size clothing for women. “Jeans- wears for the best figure”, “Jeans- a perfect choice for perfect people” these themes are out dated now a day. Because, it becomes a style statement for all the plus size celebrities across the world. Have a look at the outfit of Oprah Winfrey in the picture. This jeans has washed front legs, matching stiches detail with skin-tight style. To get more varieties visit this online store. There are few tips on choosing a large size jeans for yourselves. While selecting plus size jeans, try to avoid Low-cut jeans. As, higher waisted fits are more suitable around your mid-section. Mid-cut jeans can also looks best-fit over low-cut style. Stretchable jeans is the best way to show-off your voluptuous curves. For a body with loose waistbands, sagging rears jeans with Lycra material will be helpful. Try some designers’ jeans on your pudgy body. Generally, it is difficult to find it in retail apparel stores. But, you can get most stylish & exceptionally well designers jeans on online Stores. 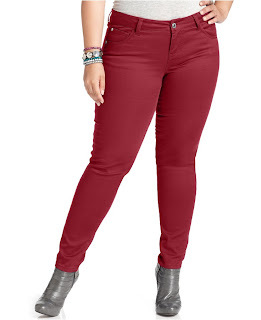 While, selecting a plus size jeans, you should take care of its length & shape. Inappropriate length can hamper your look & incorrect shape of the jeans on your body may turn into blunder. So, find perfect fit jeans for your body. “no pockets” jeans often looks quite off target. Jeans with 3-4 pockets seems descent & stitching pattern on it will add more elegance to your style. Keep posting your comments & deliver your feedback. Feel free to share & post this blog. To get more information visit the website.